Japan’s Fukushima nuclear accident provided a wake-up call to that country in terms of its energy consumption, formerly nearly 30 per cent dependent on nuclear and 60 per cent on fossil fuels. It’s new feed-in-tariff program will require electric power companies to buy ALL renewable energy generated by qualifying suppliers, at a higher rate than initially expected. Now that’s incentive – a guaranteed market! Specifically, under this plan, power companies will be required to buy solar power at Y42 per kilowatt-hour (53 US cents) for twenty years. This is 4 times more than what we get in California. Its important to note that, due to our perpetually sunny climate, the irradiance is quite a bit less in Japan than in California. 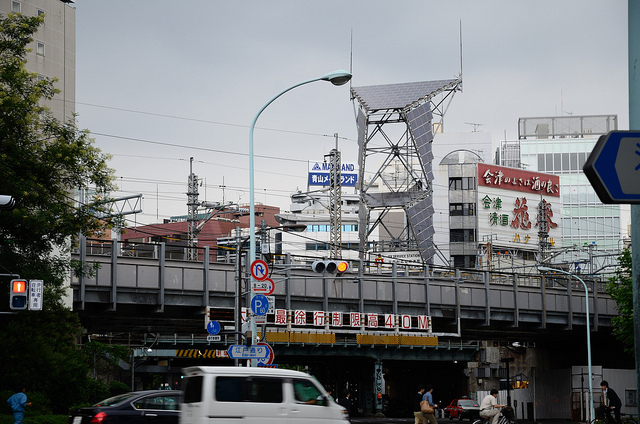 Adjusting to allow for this difference in solar irradiance means that a 1 MW AC fixed-tilt system in Japan could produce approximately 1,000,000 kWh/ year and $530,000 dollars in revenue. Compare that to a similar system in California, that could generate about 1,700,000 kWh /year and, under the restrictive new RE-MAT (SB32) pricing, deliver $210,000. Quite a very different scenario, don’t you think? Rosetta Stone’s “Japanese for Beginners” is on order! In a nutshell, the proposed Japanese FIT encourages solar development to take hold in that country and companies are already lining up in this growing market. In the meantime, the failed policy in California that could have allowed significant solar development in or near urban areas, is only contributing to the solar stagnation in our nation. California and the US need to jump on the bandwagon to remain competitive. We shouldn’t need an accident to wake us up! The Japanese government has unveiled a plan to boost investment in clean energy sources, in a move that paves the way for the country to lower its dependence on fossil fuels and nuclear power and build up its fledgling renewable energy market. Under the feed-in-tariff scheme approved on Monday, electric power companies will be required from July 1 to buy all renewable energy generated by qualifying suppliers, at a higher rate than initially expected, providing a strong incentive for businesses to invest in clean energy facilities.The government is abolishing the ceiling on the amount of energy from renewable sources power companies will be required to buy, in a move that will transform solar power generation from a side business for companies generating more electricity than they can consume to a viable business on its own. At present, electric power companies are only required to buy excess electricity generated by renewable sources and only up to a maximum of 500 kilowatt hours.